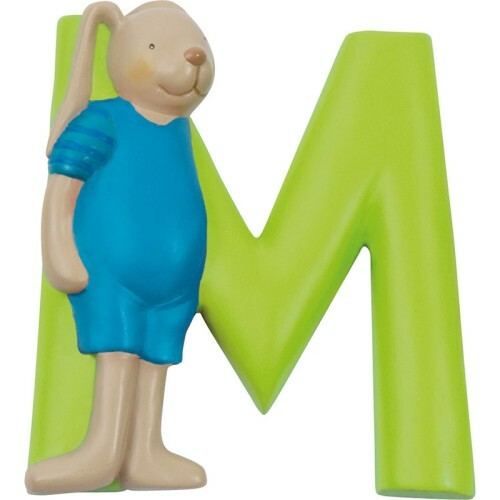 Resin letter with the character of La Grande Famille, perfect to decorate the walls or door of your nursery room! Spell the name of your little one with these illustrated letters by Moulin Roty. The complete alphabet is available on the website. Note: Letters don't stand by themselves. To fix them to the wall, simply use a piece of double-sided adhesive tape (not included).